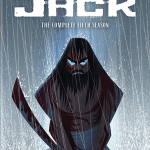 Samurai Jack, Cartoon Network’s critically acclaimed animated series, returned earlier this year for one final season, and now the fifth season is available to purchase on Blu-ray and DVD! Samurai Jack was an animated series about a prince-turned-samurai who was banished to a dystopian future by a vengeful demon. Samurai Jack originally ran from 2001 to 2004 before being shelved indefinitely after four seasons. Series creator Genndy Tartakovsky wanted to finish the series at some point, most likely through a movie, but due to conflicts with other projects, as well as a proposed film being bounced from studio to studio, the movie never happened. Fast-forward an entire decade, to 2014, when reruns of the series began airing on Adult Swim. Genndy Tartakovsky gets in contact with the network, and within two weeks, they have reached a deal for one more season. Three years later, in March of 2017, Samurai Jack, season five, premieres, to rave reviews. Tartakovsky used the final season to take the series in a new, more mature direction, eschewing the episodic format of the old series, for a serialized storyline lasting the entire season, in order to give the story an epic conclusion. This set is a must own for fans of the series. For those of you who have literally been waiting for more than a decade, you are going to want to add this set to your collection. That being said, for such a long-awaited finale, this is a rather bare-bones release. I originally thought that this was only because I had the DVD, many times studios seem to skimp on the DVD extras and then load the Blu-rays, but that was not the case here. From what I can tell, the two featurettes mentioned earlier are it, for both the DVD and the Blu-ray. 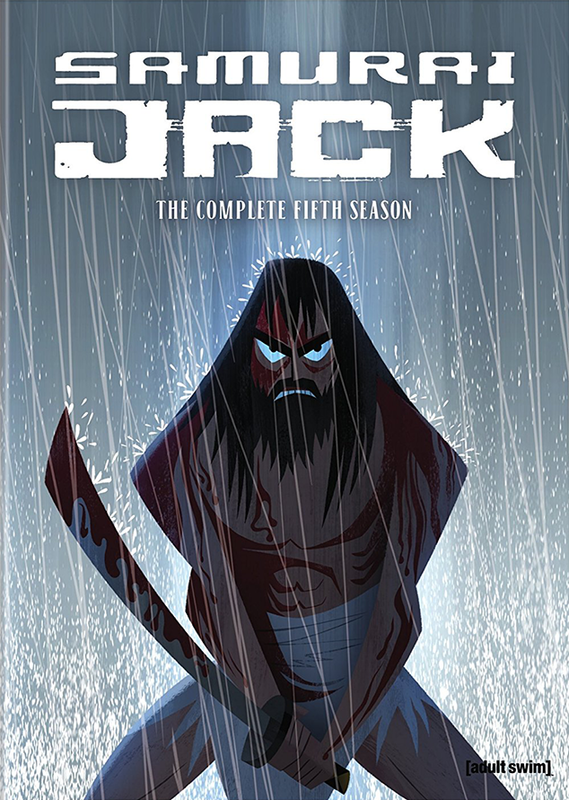 “The Evolution of Jack” was an interesting, but very abbreviated version of the story of how the fifth season came to be, and the storyboards featured in the “Pitch Movies”, while they were comprehensive, were presented without context or commentary. I really wanted some more behind-the-scenes details, and there wasn’t much to be found here. The narration was nice, I just wanted something more in-depth. If you are a fan of Samurai Jack, despite what I perceive to be shortcomings, you are going to want this set. It may not have all the bells and whistles that I prefer a set like this to have, but it has every episode of this show’s epic final season, and that is what matters. Even if there were no bonus features, this set is still worth it. Are you a fan of Samurai Jack? Are you planning to buy this set? Jonathan North is writer, photographer, video editor, and animation fan from Iowa. He studied advertising and design at Iowa State University, and also has degrees in multimedia and art. His favorite movie is Fantasia, and his favorite cartoon is Gravity Falls. Or maybe Steven Universe. He can’t decide. You can find more of his work on his blog, as well as his Podcast and YouTube channel, where he reviews animation, movies, TV, or whatever else his guests feel like talking about. You can find him on Facebook, Twitter, and Instagram, @jonjnorth.